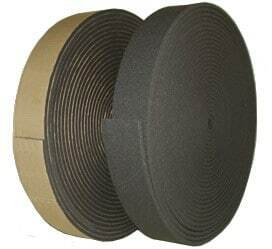 10mm thick x 25m coils / 20mm thick x 12.5m – 15m coils. Product comes in heights of 75, 100, 125, 150, 200, 250 and 300mm. All dimensions come with a 10mm high perforated edge (zip) that allows for easy removal of top edge once installed thus allowing for backing rod and corking. Can be pre-slit in required heights. Product description: Expansion Foam is a crossed linked, non-absorbent, closed cell, polyethylene expansion joint ﬁller board. The product is used in expansion and isolation joints in concrete together with many other masonry structures. Expansion Foam is non-absorbent with excellent properties allowing it to be used in water retaining / excluding structures where chemicals and variances of water such as potable, salt, chlorine and sewerage water is abundant.